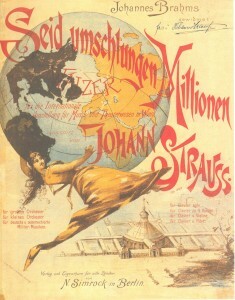 Title-page of Johann Strauss's 'Seid umschlungen, Millionen', 1892. The title-page features an image of the exhibition space in the Prater, as well as the dedication to Brahms and a central figure of Terpsichore, the muse of the dance. In one glance, it invites potential purchasers to recognise, admire and celebrate musical Vienna and two of its leading figures, Strauss and Brahms. 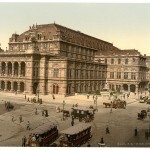 The image of Vienna as a musical city is a familiar one and it has long been associated with many of the most significant developments in Western music. A new book by Professor David Wyn Jones explores, for the first time, the history of music within the city. 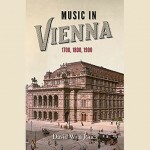 Music in Vienna: 1700, 1800, 1900, published this month by Boydell & Brewer, opens up new outlooks on music in the Austrian capital by focusing on three different epochs, bringing together social, economic and cultural context to show why Vienna has played such an important role in the history of classical music. 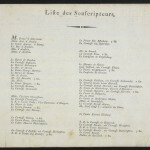 The book is populated by emperors, princes, performers, conductors, writers and scholars, as well as composers. 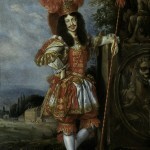 Emperor Leopold I was himself a competent composer, as well as a keen and able dancer. List of subscribers (mainly aristocrats) to Beethoven’s op.1, 1795. Altogether, 125 subscribers pre-ordered 245 copies from Artaria, the purchase of multiple copies indicating a desire to extend meaningful financial support as well as wanting to have the music itself. 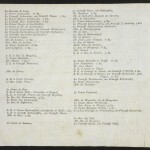 List of subscribers continued (mainly aristocrats) to Beethoven’s op.1, 1795. 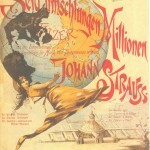 Title-page of Johann Strauss’s ‘Seid umschlungen, Millionen’, 1892. The title-page features an image of the exhibition space in the Prater, as well as the dedication to Brahms and a central figure of Terpsichore, the muse of the dance. In one glance, it invites potential purchasers to recognise, admire and celebrate musical Vienna and two of its leading figures, Strauss and Brahms. 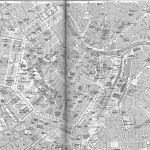 Map of Vienna from Baedeker’s Austria-Hungary, 1911.